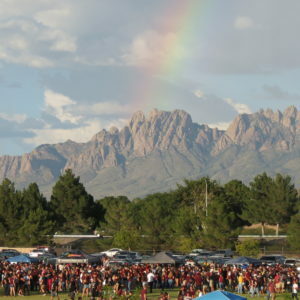 Tailgating exploded outside the stadium with a rainbow reaching for the mountains as a backdrop. 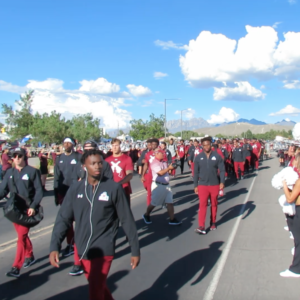 The teamwalk rolled through tailgating spots with the band, cheerleaders, and Pistol Pete leading the way. 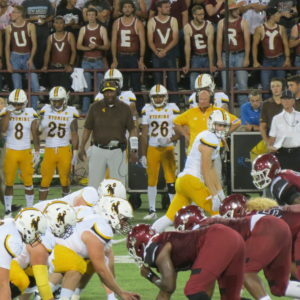 The rare presence of ESPN also had fans excited for the winning ways of their team. 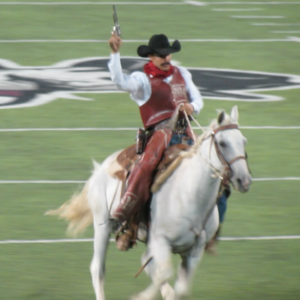 The stadium filled up impressively as Keystone, a horse ridden by Pistol Pete, led them team out to a chorus of crowd powered cowbells. 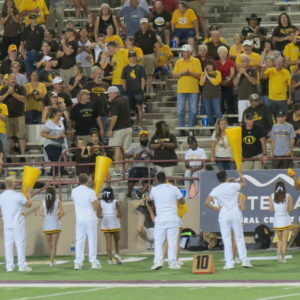 These cowbells have been a tradition since 2008, and they keep the decibel level up in Aggie Memorial Stadium. 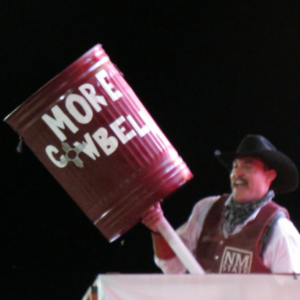 Unfortunately for NMSU, there was little reason to ring the bells as Wyoming jumped out quickly and continued to pour on the points. 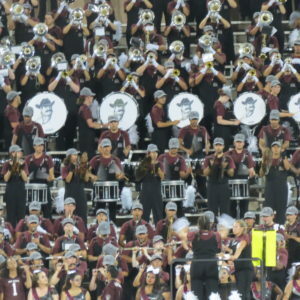 The Aggies did not return a lot of key players from last year’s successful squad, which makes any transition into a new season challenging. 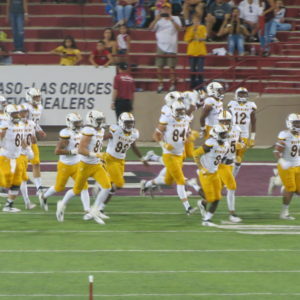 The Wyoming Cowboys took a 29-0 lead in the fourth quarter with a powerful running game. 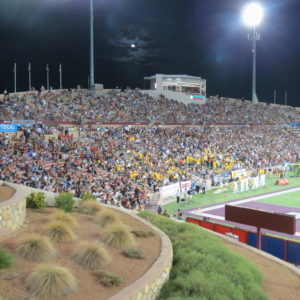 In the final minutes, NMSU managed to get into the end zone making the final score 29-7. 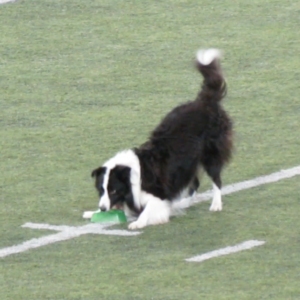 The excitement continued through the ensuing kickoff because the crowd was looking forward to the return of Striking the Wonder Dog, who charges out onto the field after the Aggies kick off to retrieve the tee. 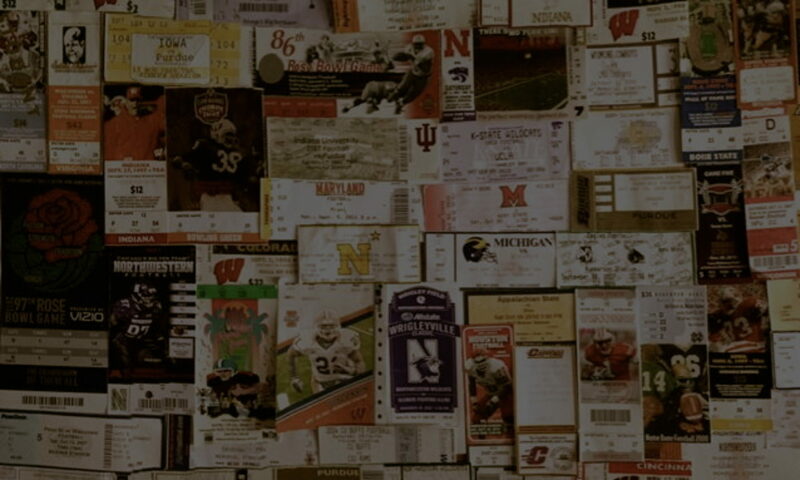 This spectacle may have inspired the loudest cheers from the stadium all night. 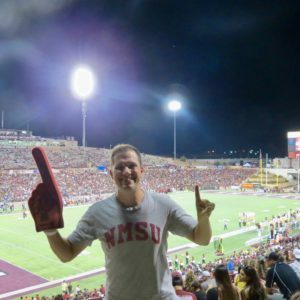 Despite the frustrating start to the season for NMSU, last year’s bowl victory should inspire the Aggies for a while. 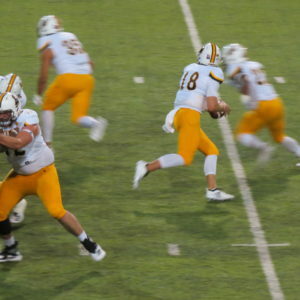 The Cowboys have a lot to look forward to as they have a conference title in their sights.